This black unisex 100% cotton shirt fits like a well-loved favorite, featuring a crew neck, short sleeves and designed with superior combed and ring-spun cotton. 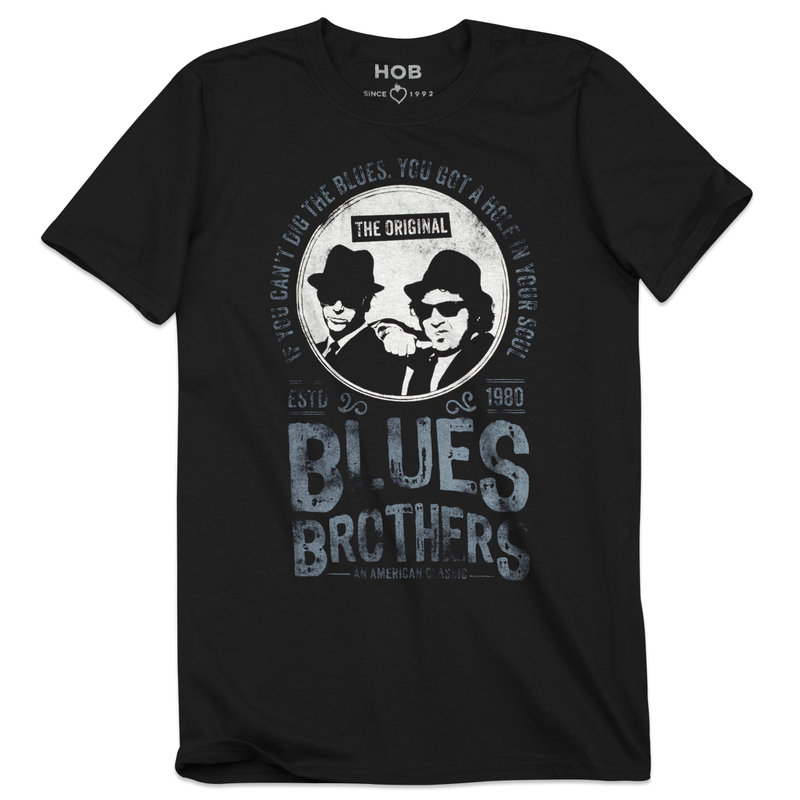 This American Classic shirt displays an iconic picture of Jake & Elwood. Inspired by a quote from Albert King that embodies the essence of the Bues Brothers and our brand.